In today’s business culture, you hear the word “hustle” a lot. You also hear words like “grind, and 24/7, and 10X.” If you are working toward a goal (and following content to inspire you) you have probably heard these terms to the point of exhaustion. I think they are over-used because so many people want overnight success. As I have said before, we want microwave results…but success is more of a crockpot. As a culture, we often want the rewards of hard work, before we put in the steps. I talk about that a bit here. 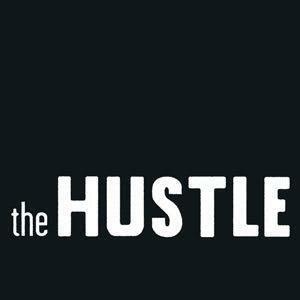 That being said, “the hustle” can “grind” you down. If you are constantly running toward a goal (and you throw life in there too) you can get worn down. Yes, I would tell you that you have to spend time outside of your comfort zone to be successful. You do. But everyone once in a while it is important to re-charge and re-focus. A good night’s sleep (or even two) can not only change your attitude (and it can), it can also help you think creatively, deal better with stress and give you more energy. All of those are critical if you are chasing a big dream. In his book, Brain Rules, author John Medina explains how sleep affects brain function. In essence, a good night sleep helps your brain work better. He explains in his book that, if you normally get 7-8 hours sleep and you cut that back to 4 hours, the next day your brain function will decrease by up to 40%! If you repeat that a second night, the overall brain function drops by another 40%. That’s a huge impact on your ability to deal with life and stress. Refuel and recharge…then you can get back to the hustle. It’s time to sign up! Become our VIP by signing up here. We send out one email per week detailing all of the content we create. Sign up here.